Breaking News! 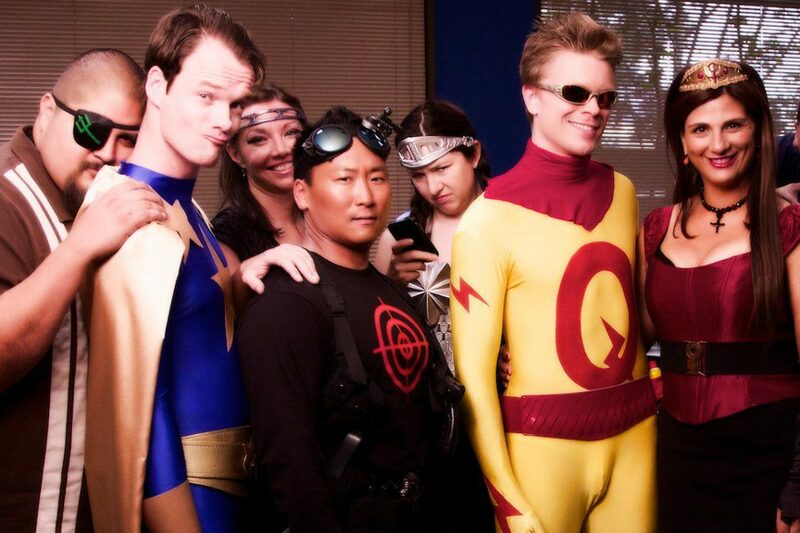 This just in: a gaggle of superheroes have been spotted in Seattle saving the world and eating….doughnuts? This is just another day in the life of the superhero web series The Collectibles. I sat down with one of the show’s creators, Todd Downing, to get the scoop on how the show began and where it’s going. Downing (producer/writer/director) had been in production on another series called Ordinary Angels, a very dark project. He got together with friends and co-workers Dan Heinrich (writer/director/producer), Trish Lloyd (writer/producer/actress) and Landon Salyer (producer/1st AD) to talk about doing a lighter and more comedic show. Heinrich and Downing both grew up reading comics and wanted to do a loving homage to them while poking fun at the same time. 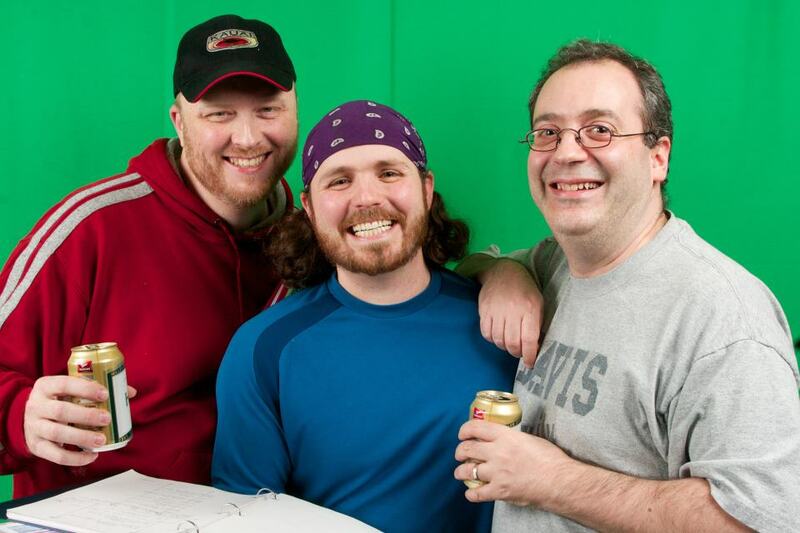 They also wanted to produce a web series and started throwing ideas around. Todd said he found some of the best comedy coming out of “powerful beings being put into mundane situations.” Lloyd suggested a concept that’s “Superfriends meets The Office.” They all quickly agreed at the hilarity of it and The Collectibles were born. The group, including sisters Cherelle and Jonelle Ashby who headed up the art department on the shoot and producer Raechelle Downing, decided to form Moon Bullet Studios to produce the show. To start developing the characters, they looked at the major players in the comics. Batman, Wonderwoman, Superman. They quickly came up with the leader SuperStar and his counterpart Ultrafemme. Then came Deathwish and Aguaman. And the receptionist Receiver, played by Lloyd. The Quick and Shield Maiden rounded out the core heroes. They also created the Corporate bigwigs that control the heroes. Next up, casting. The first role cast was Aguaman. Seattle actor Frank Aye was offered the role. Lisa Skvarla of Lee’s Martial Arts in West Seattle was offered the role of Ultrafemme. For the role of Superstar, Downing and Heinrich had seen Seattle actor Brian Sutherland in a WA lotto commercial. He approached him about playing the leader of the heroes and Sutherland accepted. (Aye, Skvarla and Sutherland, along with Heinrich and Lloyd, are all Seattle Acting School alums.) The Quick was offered to local actor and editor (who also edits the series) Dan Humphrey. Shield Maiden, who was based on Sue Storm from Fantastic Four, was offered to Seattle actress Wonder Russell. Downing had worked with her previously on a music video for the band Kirby Krackle. Lastly, Death Wish was offered to local actor Joe Downing. When the cast first got together for a read thru and wardrobe fitting, Downing said that some character traits actually swapped. Superstar was originally a serious role and The Quick was more dimwitted. But when the actors got into costume for the first time, Sutherland’s take on Superstar was much less serious and more earnest while Humphrey’s The Quick was more deadpan. Downing loved it. Now that the first season is in the can, The Collectibles will be debuting their first three episodes at this year’s Emerald City Comic Con on April 1st at 4pm. It’s a large event held at the Convention Center in downtown Seattle. 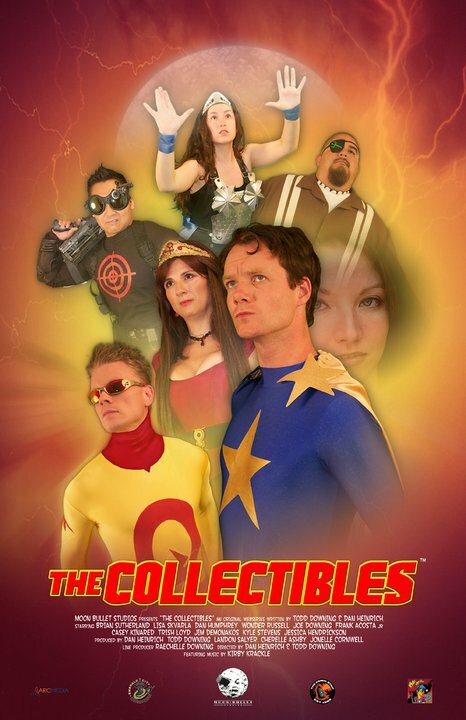 The Collectibles will then release one episode per week starting April 2nd on the web. Zombie Orpheus Entertainment (folks behind Journey Quest) will be hosting the web series. Todd says they won’t be filming season 2 until they get funding. But they have plans for a fantastic fundraiser this summer. You can find The Collectibles online and take a peak at the trailer.